DSCN0631, originally uploaded by Prince of Petworth. 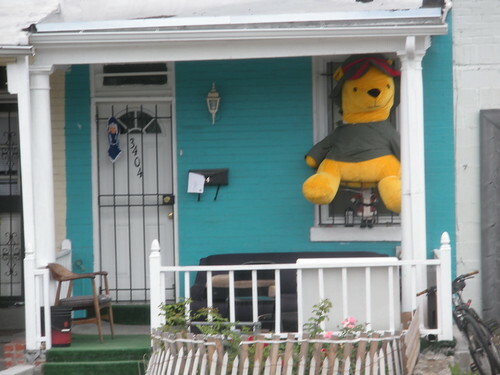 This was an awesomely random sight that just has to make you smile. 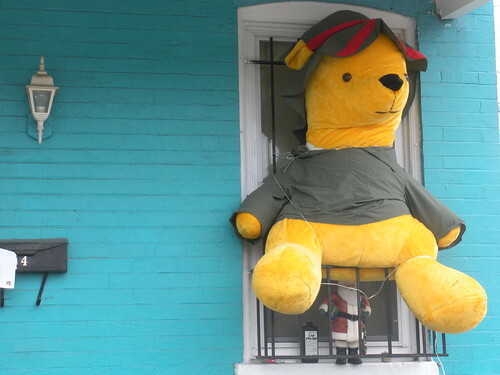 I know it has made a few folks smile because I received a number of emails about this Winne the Pooh located on Sherman Ave just south of Park Road.